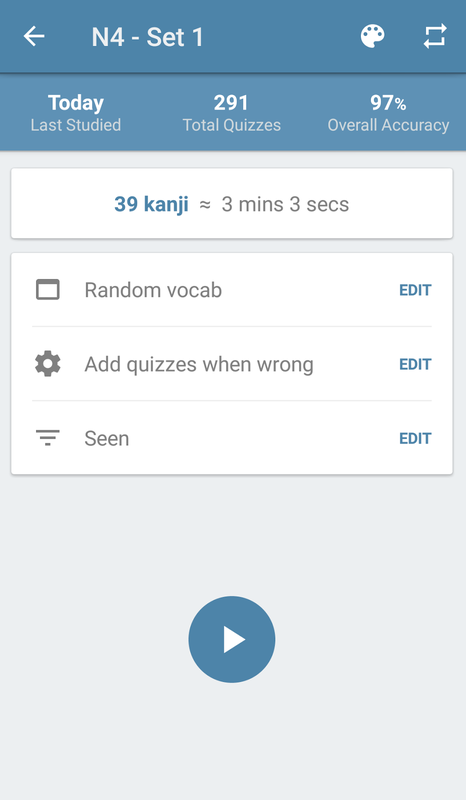 KanjiStudy: The Best App for Studying Kanji? 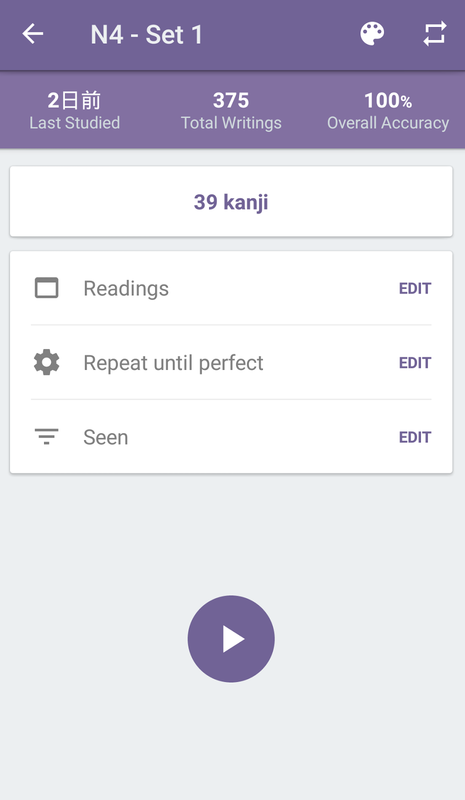 Today I'll be reviewing the Kanji app that I personally feel is the best app out there for studying Kanji. 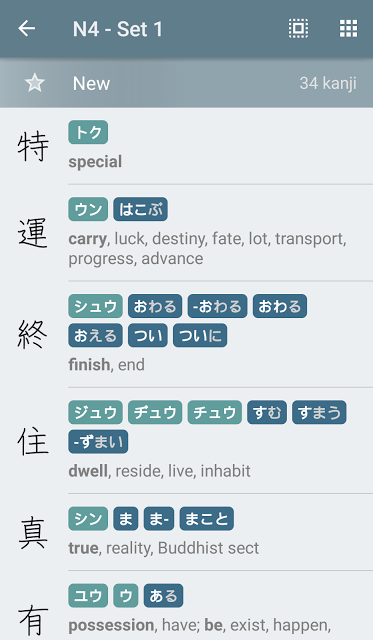 I'll start off by saying I've gone through a lot of Kanji apps looking for one that suited me, had an aesthetically pleasing interface, and offered effective ways to learn. 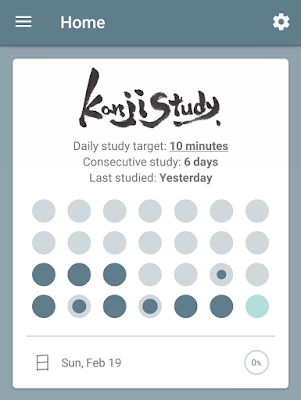 With those criteria in mind, I picked KANJISTUDY. I've in no way been sponsored at all to review this app, just thought I would talk about it because I use it all the time in my KIP posts! At first, I was hesitant to pay for the rest of the app. I'm not someone who usually spends money on apps, however I felt this app really showed me what it could do, and I encourage you to download it yourself and try it out. The price might seem hefty to some -- $9.99, but I personally feel it was worth it. When you first open the app you'll have this chart at the top that charts if you meet your study requirement for the day. 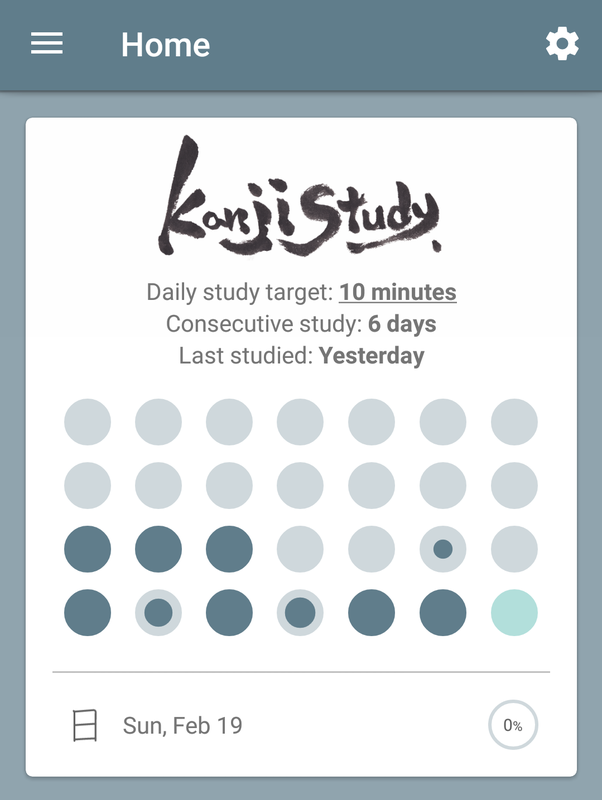 My daily study target is 10 minutes, which is the default, but it can be customized via the app settings. This is the tab in which you can find all the Kanji and different levels. Beginner level is available for free with the base app, but in order to access the rest of the levels you'll have to pay. However, there's a lot of good content for free here to explore. 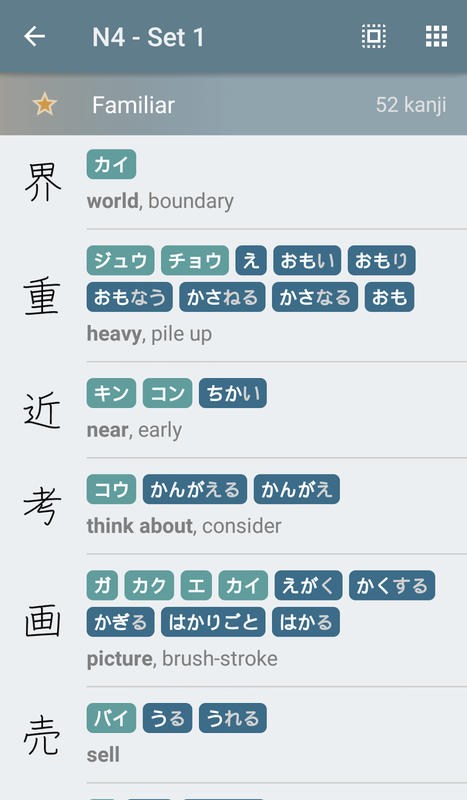 You can learn radicals and all the kana if you haven't learned those yet. 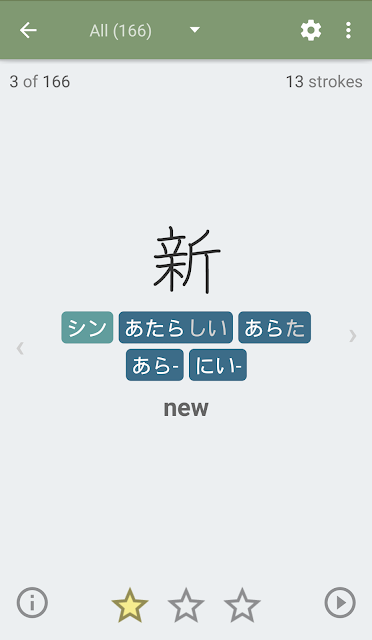 You can also mark certain kanji as 'Favorites' and create custom study groups! 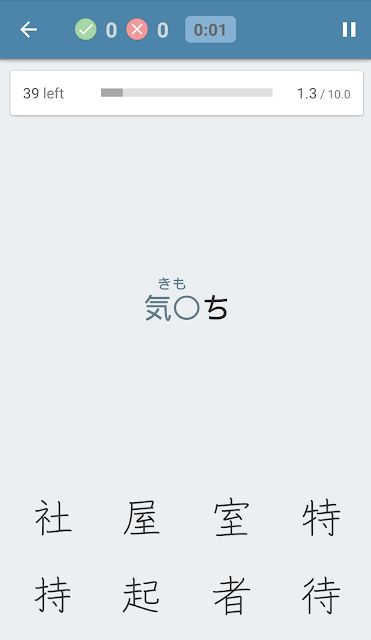 This is the Basic level (N4), and some of the kanji that are included in this level. 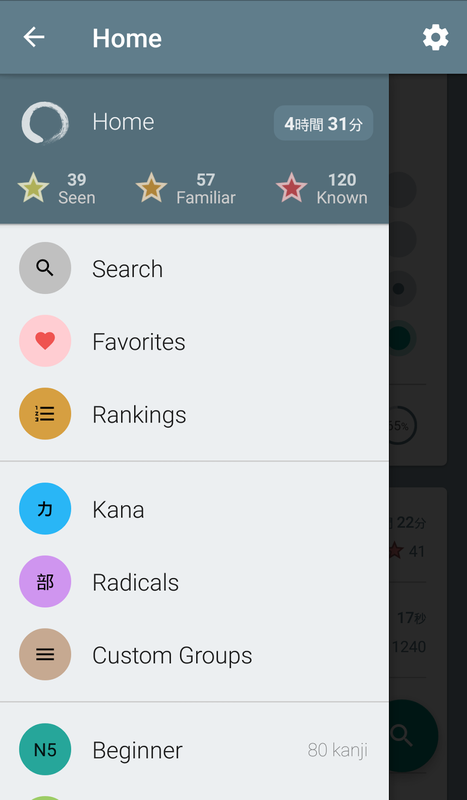 You can rank them based on a star system: New, Seen, Familiar and Known. I'm currently using 'Seen' as a way to keep track of all the kanji I learn in KIP. When you long press any of these Kanji, you'll get a menu in which you can explore more settings. For example, if you click free writing, you can practice writing Kanji! 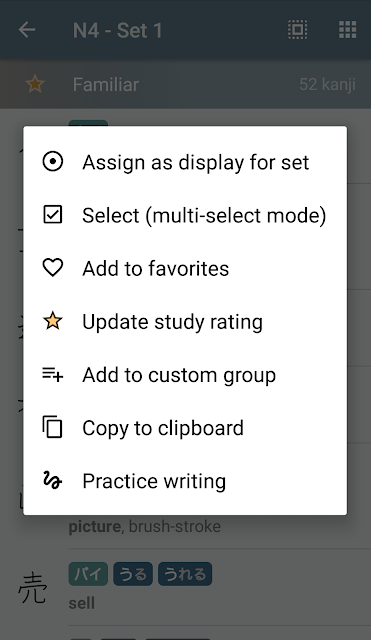 When you click the 'Study' button, you're presented with 3 types of study sessions: Flashcard, Quizzes and Writing Challenges. I'll walk you through each of these. I'm not 100 percent sure how far these go in the free version, as I really only began using them after I paid for the app. 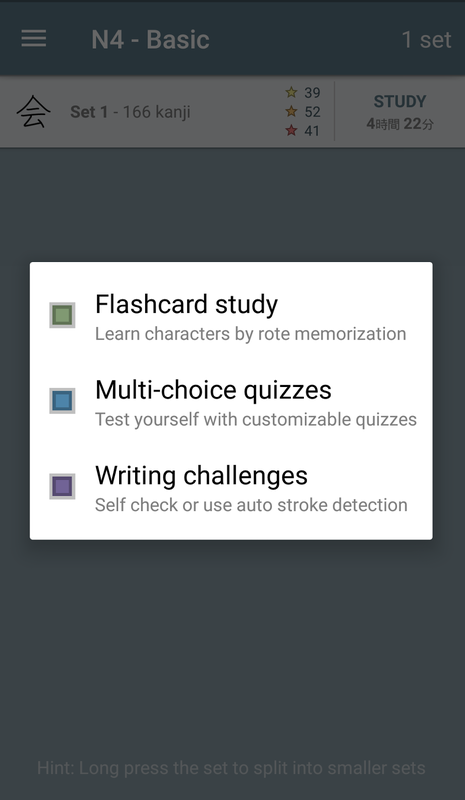 This is the front and back of a flashcard from the Flashcard Study option. 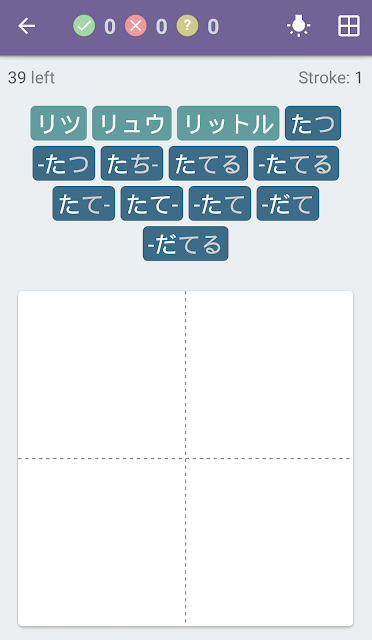 The star system on the bottom is from how I ranked the Kanji (that I previously explained above). Whenever you study using the flashcard system, it counts towards your daily study target. This is a Multi-Choice Question section. You can edit the preferences of the quizzes here as well, as you can see! Here, you choose the Kanji to complete the word within a certain amount of time. 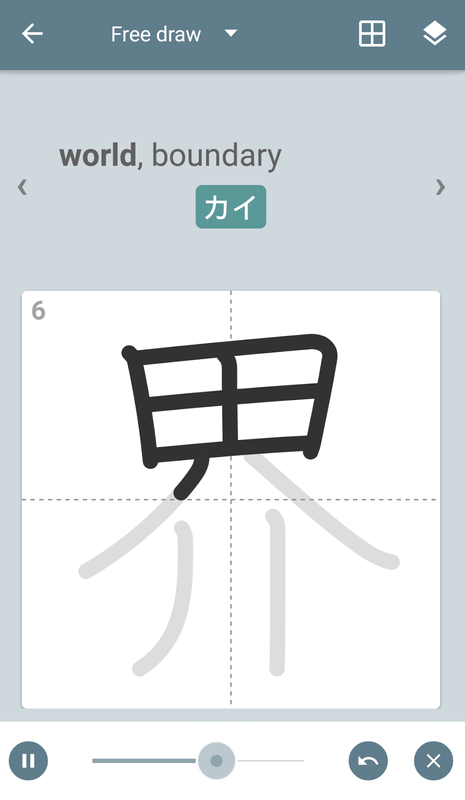 As you go on and get the same kanji right multiple times, the app will give you less and less time to reply. Finally, this is the Writing Challenge! 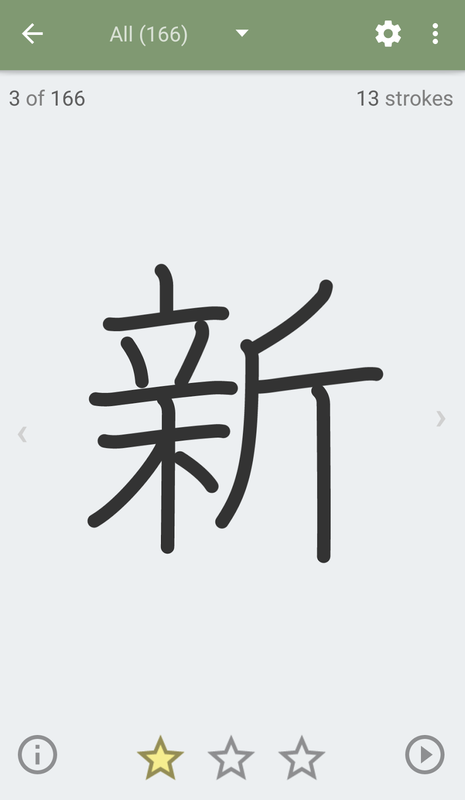 For the writing challenge, it's a test not only of your knowledge of the kanji readings, but also of the stroke order of the given kanji. 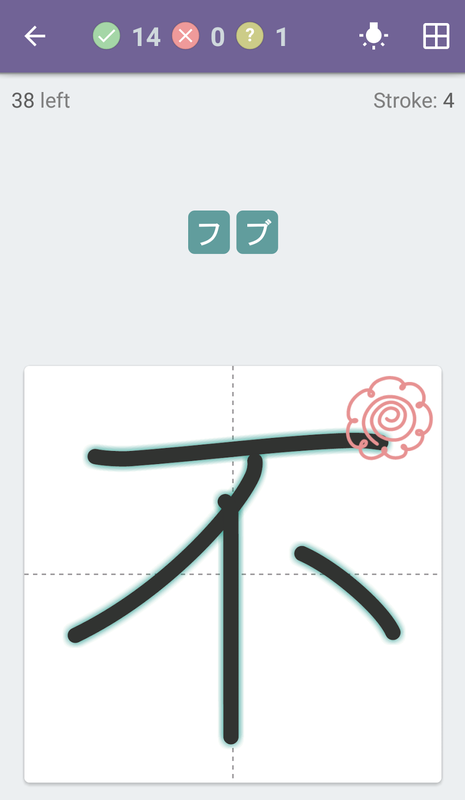 If you get the stroke order completely correct on the first try, you get this cute little flower with a swirly in the middle! At the top, you can see a checkmark, x and question mark. The checkmark is all the strokes you get right. The X is how many you get wrong. The ? is how many hints the app has to give you. The lightbulb at the top provides you a hint if you don't know which stroke to start with! Also, as a side note, clicking the little palette sign before each type of study session will allow you to change the color of each study session. I chose green, blue and purple as the colors I wanted! 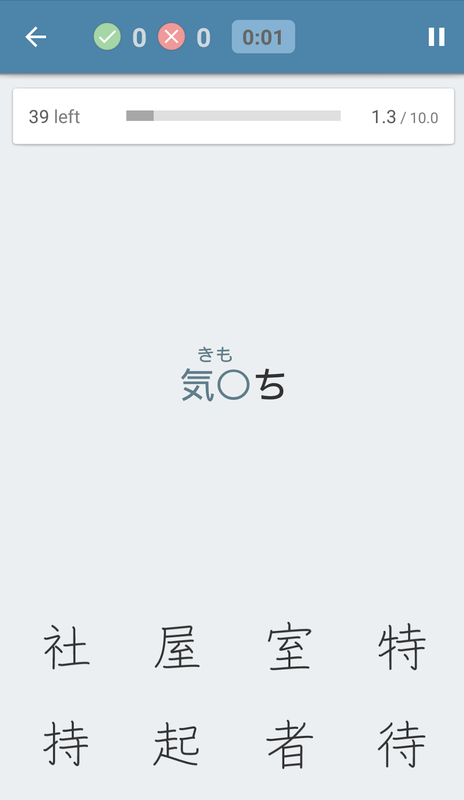 I'm sure this is a paid only feature though, but it's a cute way to customize the app nonetheless!